nj arts maven: TRENTON PUNCH ROCK FLEA MARKET INVADES NESHAMINY CREEK BREWERY! 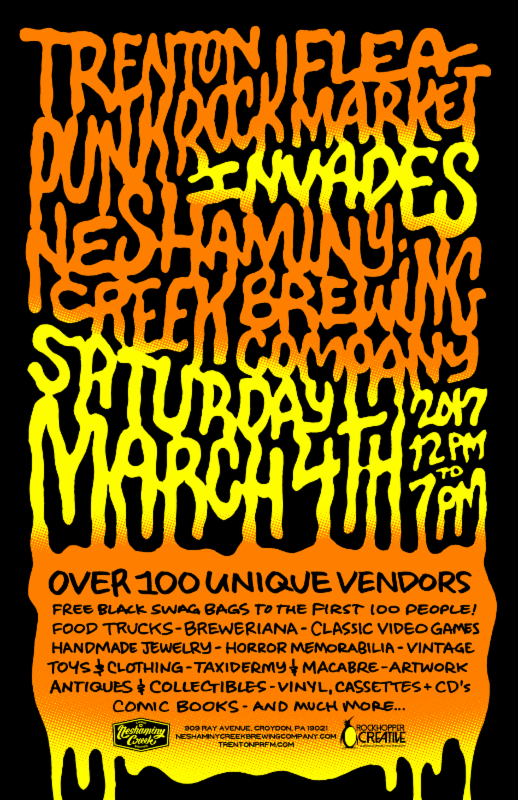 TRENTON PUNCH ROCK FLEA MARKET INVADES NESHAMINY CREEK BREWERY! OVER 100 UNIQUE VENDORS & OVER 175 TABLES! SAY CHEESE PHILLY, SURF N TURF TRUCK & WAHLBURGERS! FULL LINE OF NESHAMINY CREEK BREWERY BEERS! CAPTAIN WE'RE SINKING AND PODACTOR! ADMISSION: $5 AT THE DOOR! KIDS 10 & UNDER ARE FREE! STICK AROUND AFTER THE TPRFM FOR OUR FREE AFTER PARTY IN THE NCBC TAPROOM! 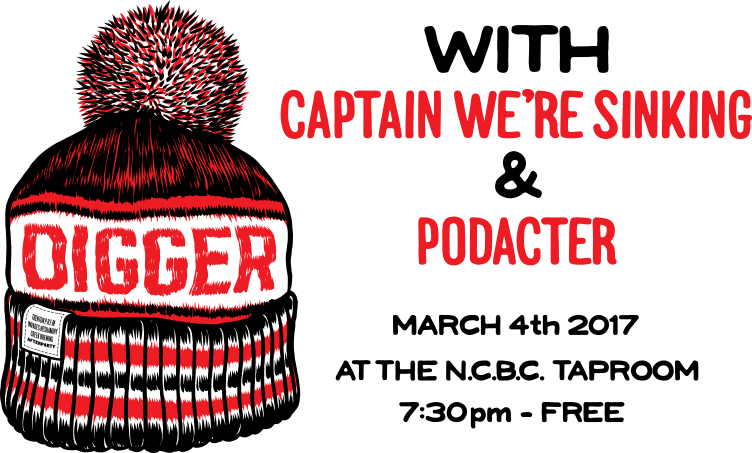 A FREE after party featuring Digger, Captain We're Sinking and Podactor in the NCBC Taproom at 7:30!